As brands increasingly turn to Facebook to host their online presence and their ads, they’ll seek platforms that handle management of both owned and paid marketing. Today, Facebook ecommerce storefront platform Zibaba is providing such a solution with the launch of an Ads API feature. It allows merchants to automatically generate and buy ads based on their most popular products so they can efficiently promote their storefronts. 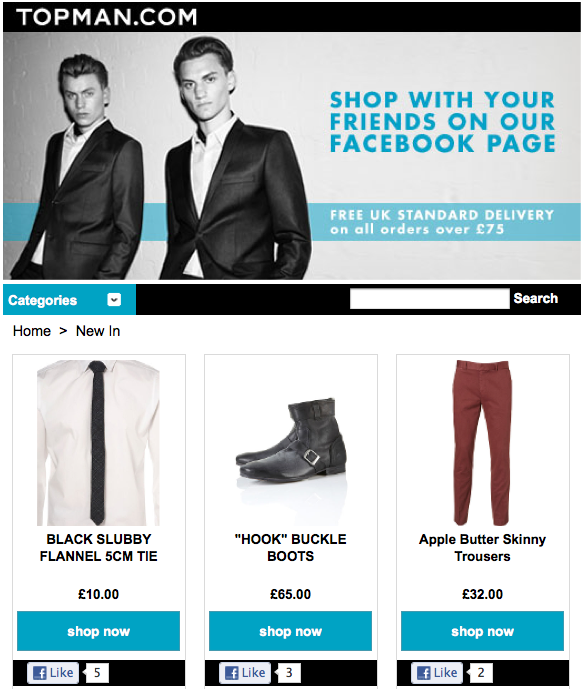 Zibaba is the first to bring ads buying capabilities into a Facebook ecommerce platform. However, the important point here is that developers are beginning to take advantage of Facebook recently opening up its Ads API. Namely, they’re integrating ads buying systems into services for a variety of verticals. Expect this trend to continue, with more developers of management platforms for brands, bands, and small businesses charging clients a percentage of spend or a premium on cost per acquisition to advertise through them. For example, ReverbNation augmented its musician marketing platform with an Ads API tool in August. As its impossible to properly A/B test or manage bids through Facebook’s self-serve tool, businesses can significantly improve the performance of their campaigns through tools built on the Ads API. While most brands have set up Facebook Pages, their objectives now are to gain more fans and monetize those fans. Zibaba’s Ads API-integrated ecommerce platform lets brands do both if they have products to sell directly. Brands can use Zibaba to set up a storefront hosted as a tab application on their Facebook Page and import their catalog of products. They can then turn the images and titles of their best selling products into ads that draw Facebook users to their stores. Finally, they can monitor analytics to determine what ad campaigns are driving the most sales. This is the real strength of integrating the Ads API into ecommerce and content management platforms. When run off the same system, downstream conversions are easier to track. With brands seeking to measure their return on investment on social, developers will join Zibaba in helping their clients optimize for conversions and not just clicks.